Installation obstacles originate from the ground up, and often originate by installers who use antiquated methods of delivering services to residences. Glitches during installations aren't uncommon, but when things go awry because the installer doesn't want to comply with best practices, then you should expect a train wreck -- especially in residential work. The core issue with residential work is that architects and builders continue to use antiquated methods of delivering utility services to homes. Their thinking is that once they've installed the cable, copper, or fiber, then that's that. (Such errant thinking crosses into enterprise deployments, as well). I can look to my own home, built in 2005, as a case in point. 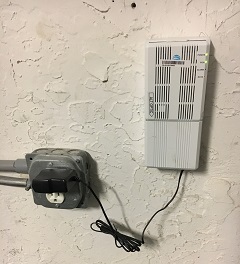 The cabling "entrance" is a piece of flexible rubber tubing inserted in between concrete blocks, extended into the garage ceiling, and then tunneled down into the "smart panel" cable chase. Flexible rubber tubing is no good. Flexible duct or "smurf" tube, on the other hand, is adequate and appropriate. Existing cables absent a pull string may be used as pull strings to the outside network interface device or optical network terminal (ONT). When we called out an installer from our Internet service provider, AT&T, he suggested digging up pavers that run parallel to the garage and laying the cable in that path. Of course my wife said, "No," as once we removed the pavers we would then need to hire professionals to redo the path or else contend with settling issues that would only get worse over time. The installer instead asked my wife for approval to install the ONT in a bedroom on the other side of our home -- and I received another call from her. Once again I spoke with the installer -- a young guy not vetted in how to overcome obstacles -- to raise his awareness of how to deal with the paver barrier. A few hours later, a supervisor arrived at the house, and the newly formed team installed fiber under the pavers without any disruption and brought the ONT into the garage, landing it next to an outlet. Toward the end of the day, I received a text message to let me know the new Internet service was up and running. At right you can see a picture of the new ONT, smaller than a doorbell gong, installed in our garage. But what's wrong with this install? First, there is no surge protection on the device. While we have whole protection from our local utility provider, I still want the endpoint protection -- after all, why shouldn't we expect five-nines at home since we expect it at work -- at least presumably. More importantly, the new ONTs from AT&T no longer have the built-in battery backup (lithium) that I wrote in a previous No Jitter post. After calling AT&T and explaining why I wanted an ONT with a battery, a new technician arrived a day later (very responsive) and asked about the issues we were having. Again, I explained that having an ONT without battery backup would lead to problems with my service due to power disruptions -- which, yes, do occur. The technician explained that there is no way to get the fiber extended into the home using the rubber tube, but said if I could get conduit installed that he could come out and reinstall the fiber and place the ONT next to the router where I do have battery backup... and now you know my next home project! What's important to note is the disservice passed down due to continued worst practices, such as running rubber tubing, by the trades. In part, this issue is what the FCC may fail to see or understand in the many obstacles in delivering reliable (always-on/available), affordable, and adequate bandwidth to homes. Installation obstacles originate from the ground up.